Premiere: GAIKA And Mykki Blanco Team Up To "PUSH MORE WEIGHT"
Son of a scientist, south London artist GAIKA grew up watching his brother construct industrial robots. Naming his mechanically structured, doom-scattered debut Machine, the gothic, masked producer welds together hard­grinding, bass­-driven constellations to create a sound that is way beyond the norm. Peppering his slow-winding, hazy tracks with R&B licks to express his love of weed and women, a complex blend of lust and loathing is conjured throughout his work with a well-oiled, hypnotic aesthetic. GAIKA keeps it futuristic at all times. 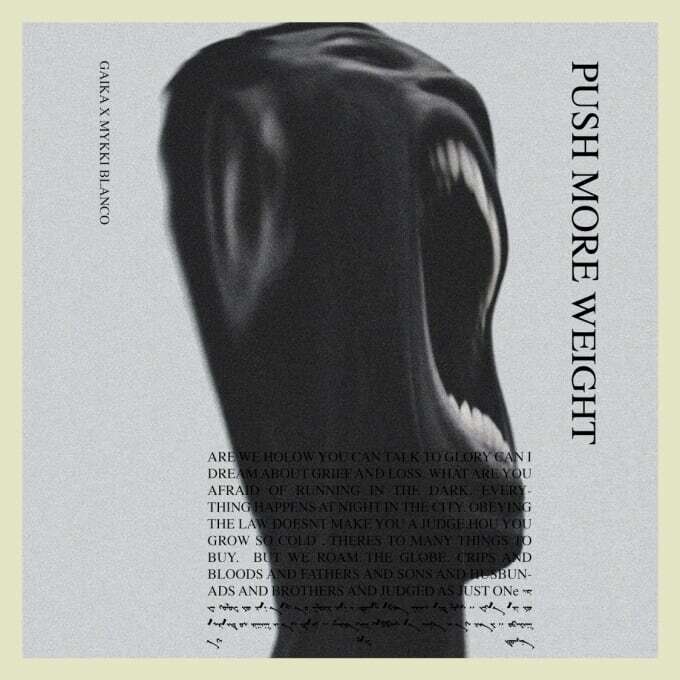 Breaking waves across the internet, activist and rap artist Mykki Blanco is championing the abstract sounds of the Brixton native, recently working alongside GAIKA in the studio to lay down vocals for collab track "PUSH MORE WEIGHT". "This tune came about because Mykki hit me up on Twitter. Real recognise real. Nuff said," he explained via email. A brooding and charged symphony lies beneath GAIKA&apos;s fusion of grime, bashment, techno and R&B, working perfectly in tandem with Mykki Blanco&apos;s sinister vocals. Hear them go exclusively below.